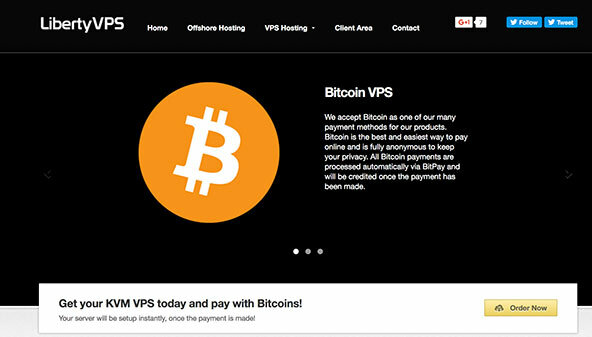 Most of the VPS providers just do the standard job of offering you a Virtual Private Server and feel that it is enough. Liberty VPS is a brand that not only offers you a VPS server but provides you with hordes of other features and hosting options. It has a huge reputation among people who believe in free speech for several reasons that we will cover in this review. Moreover, the pricing of the servers is set so cheap that you won’t have to think before investing in its hosting for your website. Although Liberty VPS offers a lot of exclusive and useful features, let’s see a few of them which are highly popular and makes it worth the money you spend on it. Not many might be familiar with the term KVM virtualization but it is highly useful for developers who are looking to setup their website on a Virtual Private Server. It is one of the most popular and used virtualization techniques in the world. Unlike many other VPS providers, at Liberty VPS you will get to use the space you are allotted without any external resource consumption. Bitcoins are the new age mode of payments and if you think that it is what you want to pay with, you can easily do so. Although this might not be a feature of the provider but it certainly makes the service more relevant as there is an additional mode of payment. One of the major advantages of Liberty VPS is what they call Free speech hosting. Since they provide hosting in an offshore country, you can be worry free about facing any kind of censorship from your country because it is hosted in a separate nation. Even the data stays secure in a different country as the policies of that country might differ from yours. Customer service is an important aspect for all the hosting providers and Liberty VPS offers great customer service 24×7 whenever you need them. Since there are a lot of technicalities involved in hosting and servers, you might need to get in touch with customer service representatives and the best part is they are always available for you. Very few providers in the market currently offer Offshore hosting which is a relatively new concept. It was initiated because of people demanding more privacy of their data from their own country’s government. As the IT rules and regulations keep on getting strict, it is very difficult to run a business that caters to something that faces a lot of censorship in your country. For this purpose, the company has come up with offshore hosting which is very effective in tackling this problem. Even after providing so many useful and unique features that hardly any other service providers offer, the cost for all the plans from Liberty VPS are quite economical. Along with great features, they also have a good customer support team that is always there to assist you no matter what problem you face. Thus, if you are looking to buy a VPS that provides all this and much more, Liberty VPS is one of the best options you can consider.